"Just respect our privacy," Dulquer Salmaan has requested via his Facebook page. 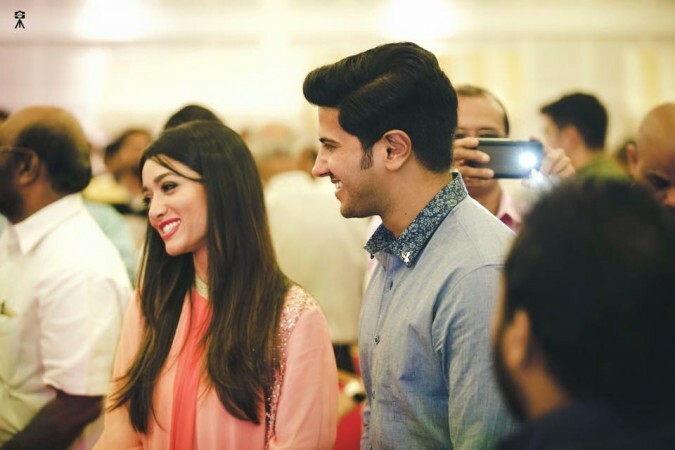 Ever since South Indian actor Dulquer Salmaan announced the arrival of his baby princess on Friday, May 5, people have been searching for the star kid's photos online. And this happens to every star kid across the globe. 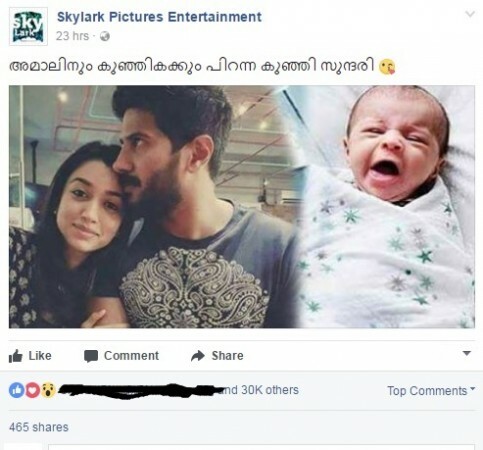 Taking advantage of netizens' curiosity factor, few websites and Facebook pages have started sharing photos, said to be that of Dulquer's daughter that are totally fake. However, from the comment section of these posts, it is evident that many netizens are still unable to realise them to be fake. Meanwhile, Dulquer himself has come forward asking all his fans not to fall prey to such fake posts, and requested to respect privacy of his family. "Requesting all our well wishers to not spread fake baby pics. Just respect our privacy. I try my best to share as much with all of you ❤️❤️ [sic]," the young actor posted on his social media page on Sunday night. For one of the such fake post that has surfaced online, over 30,000 social media users have already "liked", while 465 people have shared it, at the time of reporting. To all people, who are eagerly waiting to get a glimpse of DQ's kid, its high time you must understand that neither the star or his family members are going to reveal the photo of the baby anytime soon. Till then just relax and give them enough privacy. Meanwhile, on the acting career front, Dulquer's latest release Comrade in America aka CIA has been performing well at the box office opening to positive response from the audience. In the Amal Neerad directorial, DQ plays as Aji Mathew, a true communist by heart.